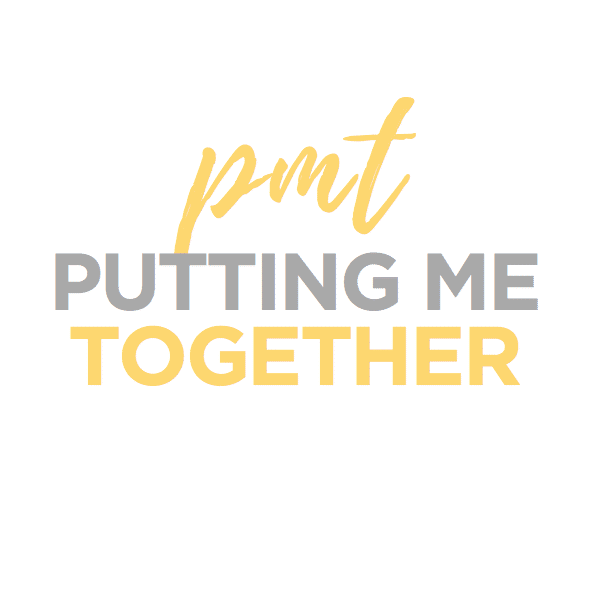 Quite a few people have been asking for another summer vacation packing post, so I’m excited to be partnering with thredUP to bring you one! Sometimes when planning for a big trip I either want or need to buy a few cute things to take with me. The “want” part is just for fun, to indulge a little for a special vacation. The “need” part is because sometimes I actually don’t have what we need for the activities on our trip! But, regardless of whether it’s a want or a need, I often feel bad spending money on new stuff for vacation. 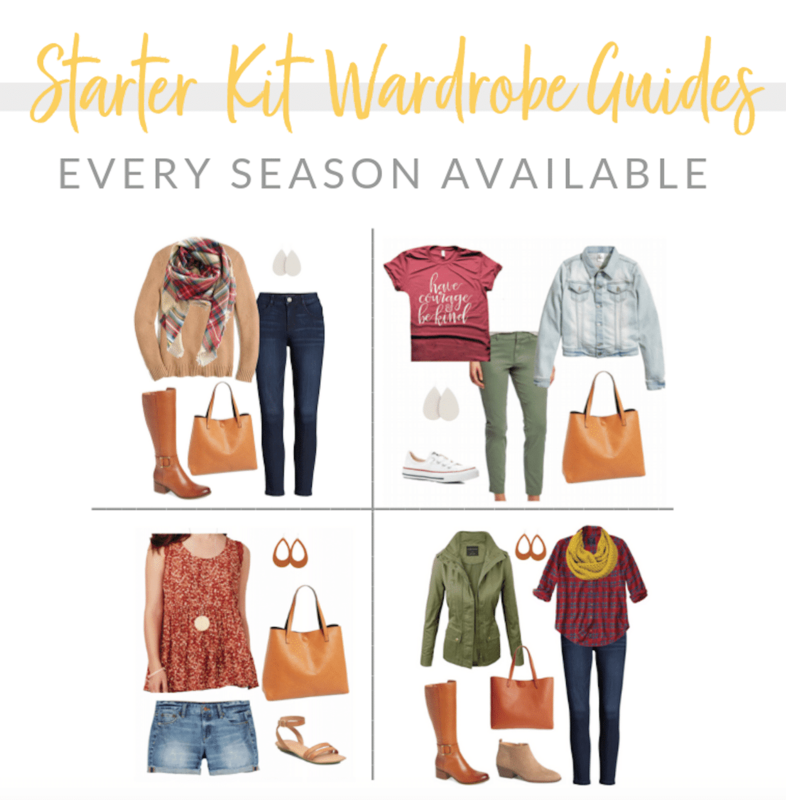 That’s why thredUP is awesome–it allows you to add to your closet without spending a fortune! thredUP is basically the best resource for second-hand shopping, selling like-new and even many new-with-tags secondhand items at a fraction of the retail price, all online. 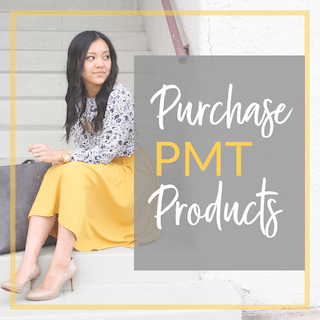 thredUP carries items from brands and stores that you and I love, like Old Navy, H&M, LOFT, Nordstrom, Target, J.Crew, and Anthropologie, as well as brand names like Paige Denim, Coach, and others—all for much, much less! Also, they carry maternity clothing and children’s clothing and shoes, which are all categories I hate spending money for the most because they’re so temporary. Wish I’d known about thredUP back when I was pregnant! 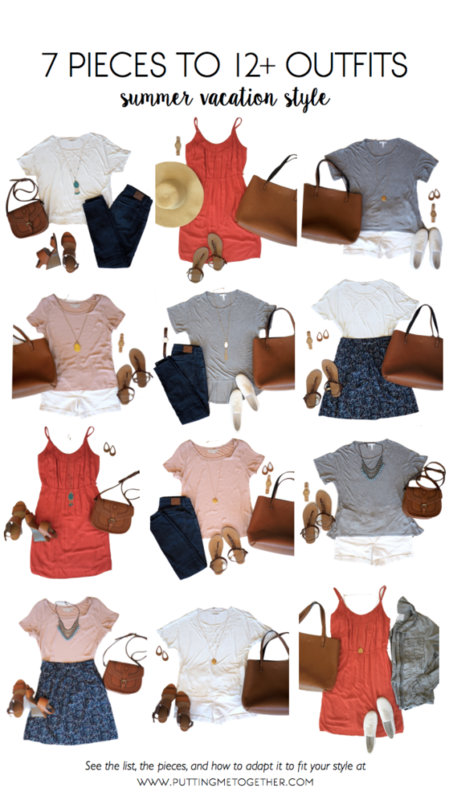 To show the great kinds of pieces thredUP has, I built a summer vacation wardrobe with a bunch of pieces I found there. Here it is! 3 solid tops that are loosely fit. If you’re going to pack all solid tops, make sure there’s something special about each of them, like cute details, a nice fit and drape, or have a unique shape. You could also go with tanks or spaghetti strap blouses of course! Anyway, the cream one above is from Madewell, and while it’s hard to see in these pics, it has cute cutout detailing which makes it distinct from a plain white tee. The blush one above is a LOFT tee that I absolutely love because of how comfy it is and how it hangs on me. The grey tee is a super comfy Leith tee with a hi-lo hem. It’s a brand sold at Nordstrom, but I got it for much less! I found all of these on thredUP! 1 summery dress. It can be solid or printed. The more important thing is that it could be worn for multiple occasions. thredUP had tons of cute summer dresses, and I was so excited when I found this Old Navy one! It can be worn walking around town or to the beach, or dressed up a little for dinner. 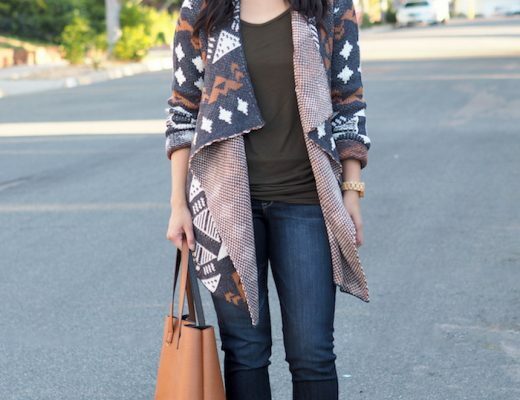 3 bottoms – 2 neutrals and 1 print. They can be any combo of jeans, shorts, or skirts that you prefer, but each one needs to go with at least 2 of your tops. If they go with all 3 that’s even better as it maximizes your options! I used jeans here, but if wherever you’re going is too hot for jeans, swap them out for denim shorts. 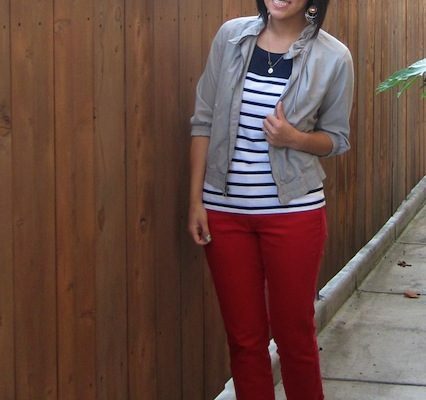 I included white Old Navy shorts that I also found from thredUP. And lastly, since I have 3 solid tops in the mix I added a patterned skirt to mix up the prints as well as silhouettes of my outfits. 1 lightweight jacket (optional). Last summer I visited my mom in my hometown and I brought a jacket that I didn’t use once in 3 weeks. It was warm enough day and night without one! That said, I probably would still bring a jacket anywhere with me just because I like to be prepared. You all should know by now how much I love my utility jacket, so when I found this grey one from Old Navy on thredUP I couldn’t resist it! 2-3 pairs of shoes. 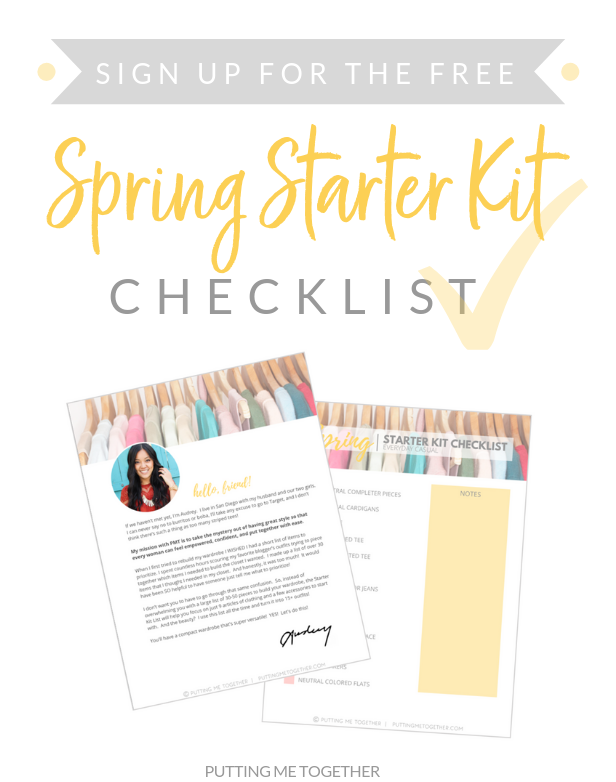 This is totally dependent on how many different activities you’ll be doing and what kinds of shoes you’ll need. I usually want flats while I’m traveling because traveling often means lots of walking and activity. But I also like to bring a pair of heels just in case. 1-2 bags. Again, this depends on your activities. I like to bring a tote for when we’re out all day and a cross body for traveling lightly during activities. Not pictured – workout clothes, beach gear, etc. These are just 12 of many more cute summer outfits that could be made with these pieces. It includes a mix of casual outfits for lots of walking and some for dressy casual occasions. Also, while the jacket goes with any of these outfits, unlike in my fall and winter packing posts, I tried not to rely on the jacket to make any of the outfits distinct. Almost all of the apparel is from thredUP except for the skinny jeans and skirt. And in case you’re looking for some special pieces for your summer vacation, I also saw statement pieces like a tropical print maxi dress, a faux moto jacket, and dressy tops. And I actually picked up two other pieces not shown here—a purple Halogen pencil skirt and a trendy little J.Crew denim vest. Such good finds! 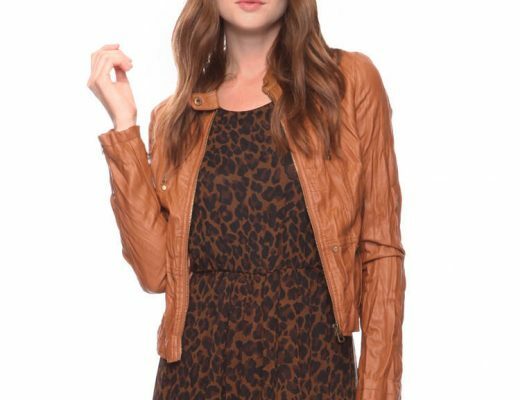 The clothes were in excellent condition, but if there are any slight imperfections on clothing, thredUP lists that on the item’s description page and the price is usually even lower as a result. 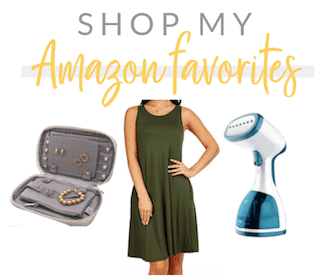 It was really fun to shop at thredUP, to find such great pieces, and to be able to find fun things for summer, like the orange dress or the J.Crew denim vest. 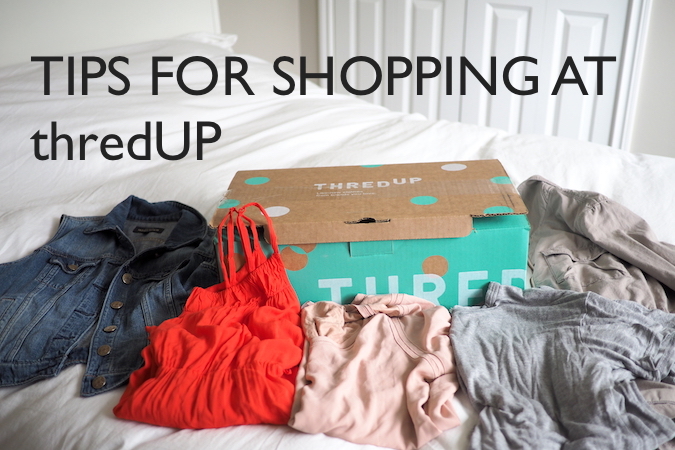 I also learned a few things about shopping at thredUP, so here are some of my tips! Use their wonderful search and filter features. thredUP has thousands of items, and they add to it everyday. To make things easier, you can filter through types of clothing, color, sizes and “like sizes,” brands, and more. Very helpful, and way better than digging through racks at stores! Have a specific type of item in mind. Examples: a summery dress, a short-sleeved top, a grey utility jacket. With all the inventory thredUP carries, it could get overwhelming if you’re just browsing! Search “New Arrivals” first. Because new things are added everyday, starting with new arrivals helps you not cycle through the same things you saw last time you browsed. Put it in your cart immediately, even if you’re not sure. If the item looks like a great find, chances are someone else will want it too. Put it in your shopping cart immediately, where it will be held for roughly 24 hours. That way you can continue shopping and decide later, without having to worry that someone else will take it. I’ve made the mistake of not doing that and lost out on a really cute bomber jacket! Opt for store-credit for free return shipping. If you like what you see on thredUP, you can get free returns if you opt for store-credit. 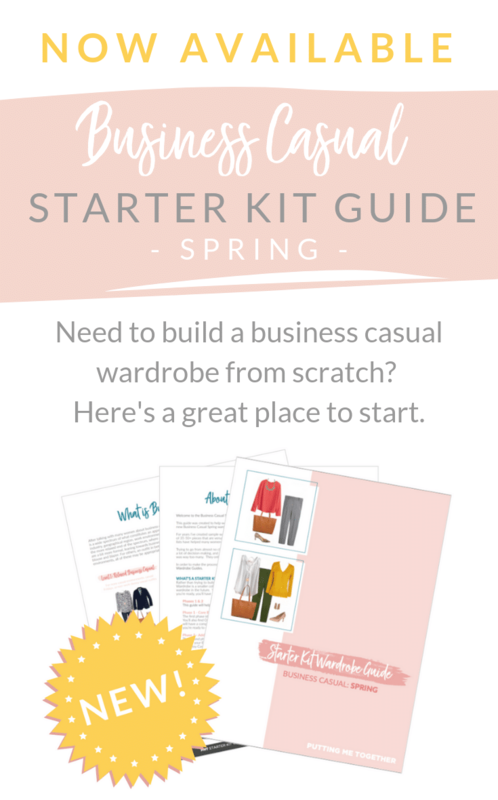 Also, a few of you have asked me about selling items on thredUP. I haven’t yet, but it seems like it’s a fairly easy process which you can read more about on their site. If anyone’s done it, let us know how it was in the comments please!